We all struggle to understand the Mysteries of Faith. How they effect and affect our lives. The most difficult to understand is the mystery of the Resurrection. In my view this is the most important one. Without the Resurrection we would not be called Christians. We would not be the Body of Christ. This essay would not be written. (good/bad, you decide LOL). We, like the apostles, journey to find understanding of the Resurrection and the implications of the event. One person, in my opinion, has a unique story to tell of her journey to Resurrection Faith: Mary Magdalene. Mary is a complex woman. She is probably the most misunderstood of all Jesus’ followers. She was one of the women who traveled with Jesus and helped support his ministry “out of their resources”, indicating that she was probably relatively wealthy. She was thought to be a prostitute as well as “other” unnamed women in the Gospels. As a matter of fact, Mary is mentioned by name twelve times in the canonical gospels, more than most of the apostles. In apocryphal texts, Mary Magdalene is portrayed as a visionary and leader of the early movement, whom Jesus loved more than he loved the other disciples. These texts were largely written long after the death of the historical Mary. Many other theories about Mary come out of Gnostic writings, such as The Gospel of Mary, The Gospel of Phillip, and the Gospel of Thomas. `Abdu’l-Bahá, the son of the founder of the Bahá’í Faith, said that Mary was “the channel of confirmation” to Jesus’ disciples, a “heroine” who “re-established the faith of the apostles” and was “a light of nearness in his kingdom”. He also wrote that “her reality is ever shining from the horizon of Christ”, “her face is shining and beaming forth on the horizon of the universe forevermore” and that “her candle is, in the assemblage of the world, lighted till eternity”. In light of all of that, Mary’s participation in the events of Holy Week bring to me a whole new viewpoint of the woman who was referred to as “the Apostle to the Apostles”. She bravely witnessed Jesus’ humiliation, crucifixion, and was the first to witness the resurrection. Not Peter, nor any of the others except the “Beloved Disciple” could bear witnessing Jesus’ was crucifixion. I admire Mary’s inner fortitude. This why I feel her journey of Resurrection faith is so very inspiring. Mary went through immense trauma, seeing Jesus brutally tortured and slowly crucified. She had come out to the tomb that morning to prepare Jesus’ body for burial. His body had been placed in the tomb on Friday evening, when sundown was near, and the Sabbath was about to begin. That morning, when the Sabbath had ended, it was time to anoint the body and finish all the usual customs. She arrived to find an empty tomb. She knew that Jesus had promised to rise from the dead on the third day, and this was the third day. But, in her fear and grief, Mary draws only the most negative of conclusions, that the body had been stolen. Out of fear or past trauma, we tend to place the most negative interpretations on the events of our daily life. We tend to accept bad news, and reject good news too easily, or fail notice that every day most things go right. We focus on the few things that go wrong. So easily we are negative and forget that even in painful transitions, as certain doors close, others open. Grief does this. It takes away our capacity to see more clearly other possibilities, other interpretations. In the Resurrection we, like Mary, encounter something amazing, but because of the events of Holy Week, our collective grief (and Mary’s) lock us into only the most negative of interpretations. Why doesn’t Mary recognize Him? Has He changed his appearance? Were tears in her eyes and she could not see well? We cannot say, but either way, she’s looking right at Jesus and does not recognize Him. Too often, this is our condition as well. The Lord is more present to us than we are to ourselves; He is more present than anyone or anything in this world. Yet we seem to see everyone and everything except Him. This is our spiritual blindness. We must make the journey in faith and learn to recognize Him in all we meet. We must come to the normal Christian life, which is to be in living, conscious contact with Jesus at every moment of the day. Does the sun cease to be present simply because the blind man cannot see it? Of course not. Neither does the Lord cease to be present to us simply because we cannot see Him. One of the paradoxes of our faith is that we learn to see by hearing. For Scripture says that faith comes by hearing (Rom 10:17), and faith is a way of knowing and seeing by way of that knowledge. Mary clings to Him as He was. It’s as if to say, “Jesus, it’s you! Let’s pick up where we were before the crucifixion.” She thinks of Jesus as alive again, but she must also now see the Lord of glory. His crucifixion has led to His glory. That is why Jesus speaks further of the fact that He is ascending to the Father. We, too, must grasp a deeper understanding of Jesus as we make our journey. To put it in Jesus’ terms, we must let the Lord “ascend”. Scripture says elsewhere, “From now on, therefore, we regard no one from a human point of view; even though we once regarded Christ from a human point of view, we regard him thus no longer. Therefore, if anyone is in Christ, he is a new creation; the old has passed away, behold, the new has come. All this is from God, who through Christ reconciled us to himself and gave us the ministry of reconciliation; that is, in Christ God was reconciling the world to himself, not counting their trespasses against them, and entrusting to us the message of reconciliation” (2 Cor 5:16-20). Mary comes to a fuller faith based on this interaction with the Risen Jesus. How? When she goes to the apostles, she says, “I have seen the Lord”. She does not merely say, “I have seen Jesus.” This is Resurrection faith: to see the glory of Jesus and understand that He is the Lord of Glory and the Word who is God. Here is true Resurrection faith. Not merely seeing His corpse come back to life, but also to be able to see who He really is: “the Lord”. Jesus is Lord and is risen from the dead. Scripture says, “Christ Jesus, who, though he was in the form of God, did not count equality with God a thing to be grasped, but emptied himself, taking the form of a servant, being born in the likeness of men. 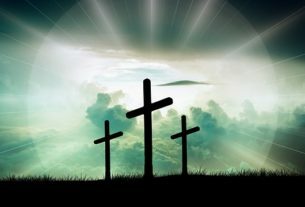 And being found in human form he humbled himself and became obedient unto death, even death on a cross. Therefore, God has highly exalted him and bestowed on him the name which is above every name, that at the name of Jesus every knee should bow, in heaven and on earth and under the earth, and every tongue confess that Jesus Christ is Lord, to the glory of God the Father” (Phil 2:5). Mary began by looking for a corpse to anoint. She ends by making the mature Resurrection declaration: “I have seen the Lord.” It is truly Jesus who is risen in the same body. But He is glorified and now shows forth fully His glory as the eternal Son of God and Son of Man. To come to Resurrection faith is not only to see Jesus of Nazareth raised from the dead, but even more importantly, to behold that He is the Lord of Glory. Rev. Fr. Andrew Smith grew up in Appleton. WI. He studied Theology, Philosophy and Sociology at Lakeland University in Sheboygan, WI and completed his theological studies at Holy Redeemer Seminary of the UICC. Fr. Andrew was ordained to the diaconate in December of 2010 and to the Order of Presbyters in May of 2011. He entered his novitiate in the Order of Preachers Old Catholic in August of 2016 and took his three- year vows in May 2017. Fr. 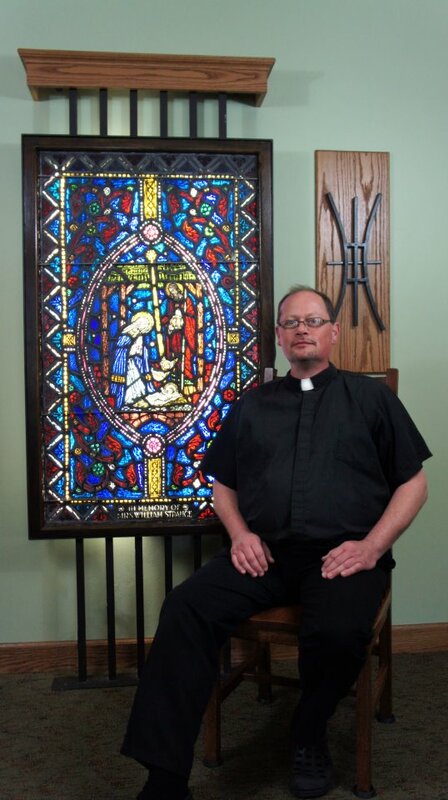 Andrew is pastor of St Dominic Old Catholic Church in Oshkosh, WI. He enjoys cooking, reading, writing and is an avid history buff.